Another share this month with the Flying Unicorn July Kit using the Lemoncraft collection House of Roses. I love this cute picture of my daughter with our new pup. How cute and fluffy is he and she looks so cute holding him. This is such a pretty layout Keren. 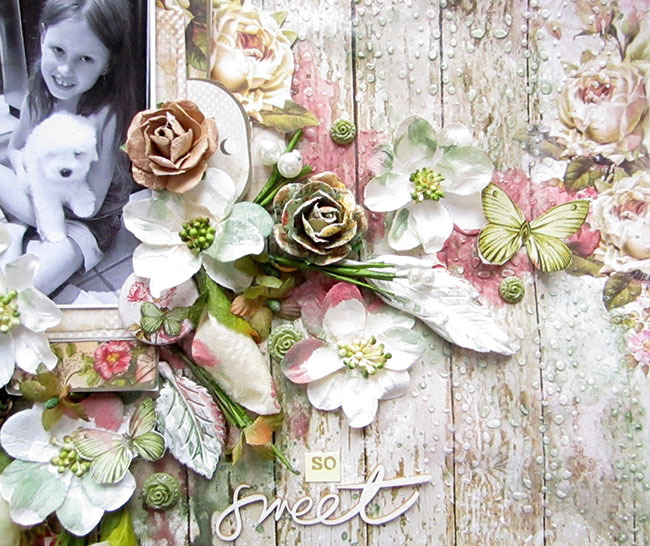 Love all the embellishments and the picture as well! Keren your layout is fabulous. It's extremely pretty. 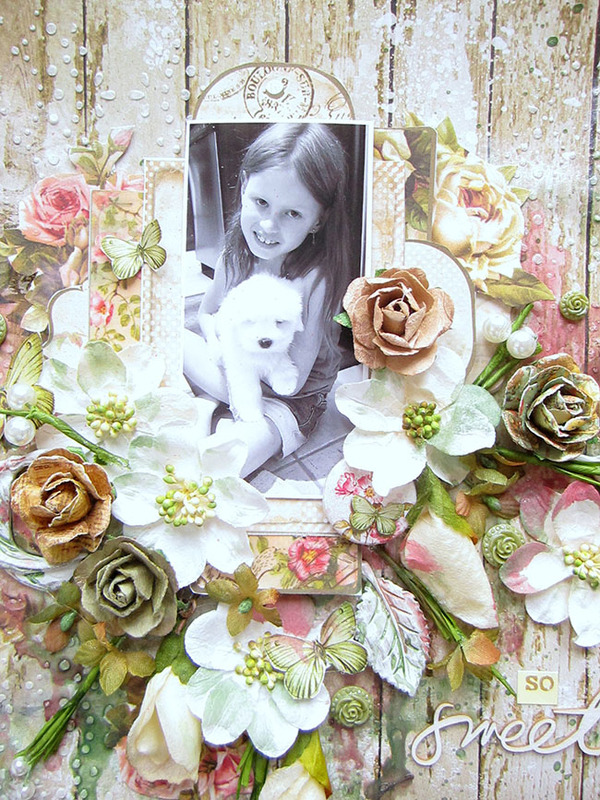 And the lovely pic of your cute puppy and lovely daughter is so fantastic presented the way you decorated your layout. Your way to add the flowers takes away my breath.. STUNNING !!! Thank you so much for sharing your awesome art ! Really beautiful! Love the papers and all those lovely flowers!